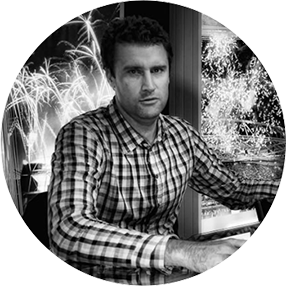 Stuart has more than 20 years’ experience in special events and pyrotechnics and has developed a worldwide reputation for designing and delivering powerful pyromusicals for world-class events. Stuart’s knowledge of current and future products, his creative use of music and his perfectionist technical approach are key to delivering unique, powerful and artistic performances, often in unusual marine, land or architectural environments. His long list of pyrotechnic design credits read like an aspiring pyrotechnician’s bucket list; from the Opening and Closing Ceremonies of some of the world’s most impressive events and National Celebrations, to the crazy and incredible Nitro Circus Live shows. His creative pyrotechnic designs have been rewarded with a total of six International Fireworks Competitions in recent years, including 1st Place at the Malaysian International Fireworks Competition and Silver, Bronze Jupiters and Gold for best soundtrack at the Montreal International Fireworks Competition. Stuart’s spare time is about as rare as a ‘lance set piece’ in one of his pyromusicals, but when he takes off his pyrotechnician hat he enjoys spending time at the beach with his family; wife Kate and daughters Zara & Skye. Stuart also adds mountain biking, snow boarding, soccer, rugby, ‘looking into’ getting jobs done around the house one day and living life among the gum trees to his other hobbies.